The words "root canal" often have a less than favorable connotation to some people. However, the truth is that this procedure not only preserves your oral health but it also actually relieves pain! Read on to your Eastpointe dentist, Dr. Peter Jost, uses this treatment to help save his patients' smiles! Named for the tiny, slender chambers which course down each tooth root, root canal therapy heals infection and reinforces weak tooth structure. Before recommending this restorative procedure, your Eastpointe, dentist will perform a careful examination of the suspect tooth. 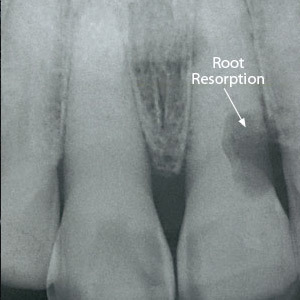 X-rays reveal the health and position of tooth roots—important information that determines whether a root canal can actually relieve pain and prevent unnecessary extraction. 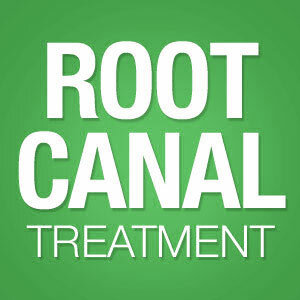 The American Association of Endodontists says that root canal therapy takes up to three dental visits. Once the treatment is complete, the tooth will quickly normalize and should last for many years—possibly even for the rest of the patient's life! Treatment is actually quite simple! It begins with your dentist numbing the area around the tooth before using specialized tools to remove any infected pulp and smooth the interior walls of the canals. Medication is then administered to quell infection and inflammation, while a putty called gutta-percha is used to seal and strengthen the canals. Dr. Jost repeats these steps on all canals and before placing a temporary cap over the tooth. Healing at home takes about a week. When you return to Dr. Jost's office, he'll remove the temporary restoration and then bond a new porcelain crown in place. This crown is customized for color, size, and shape and blends in with the surrounding teeth. Your tooth will feel comfortable and look natural. You can depend on its strength and durability, but we do caution that good at-home care and regular in-office check-ups are critical to long-term health and tooth retention. Count on Dr. Peter Jost and his team to make you comfortable and give life back to your damaged tooth. Root canal treatment really is nothing to fear! Call the office today to set-up your procedure: (586) 771-1460.